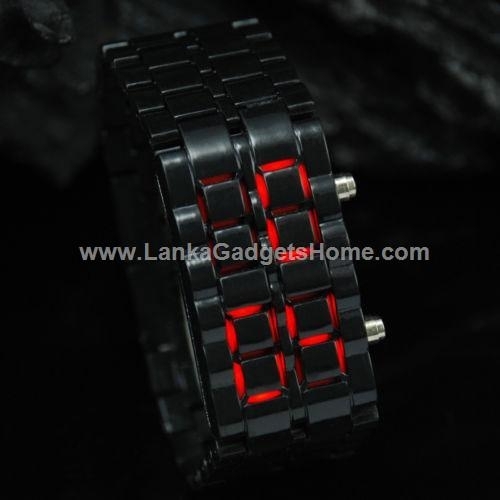 This is a samurai Japanese inspired faceless LED wrist watch, looks like a bracelet. faceless design, cool and fashion, fits both men and women. 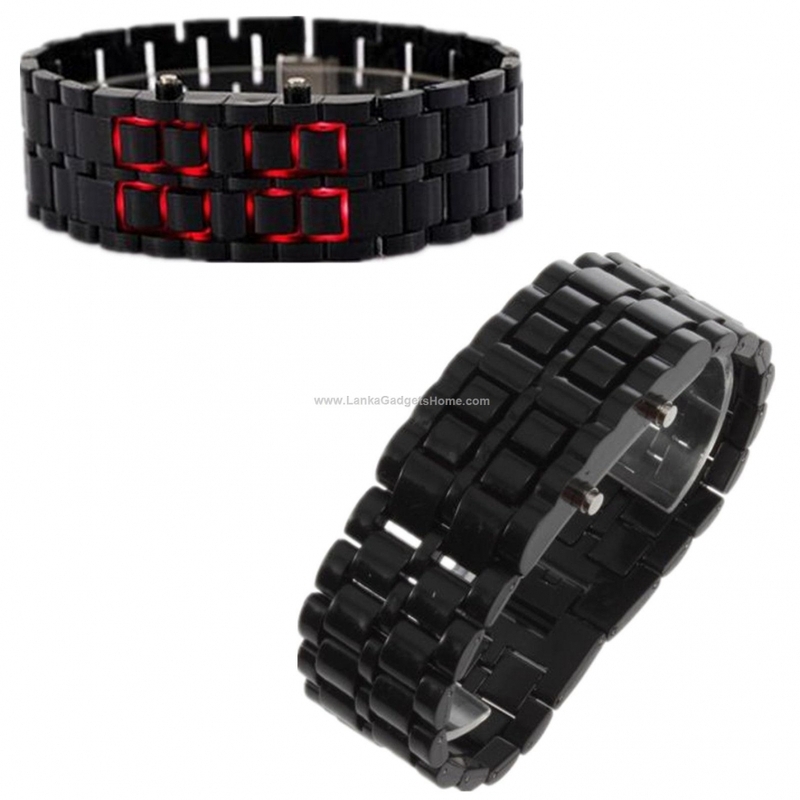 Super bright LED lights that display the time as well as the day and date. Stylish and agile in appearance. 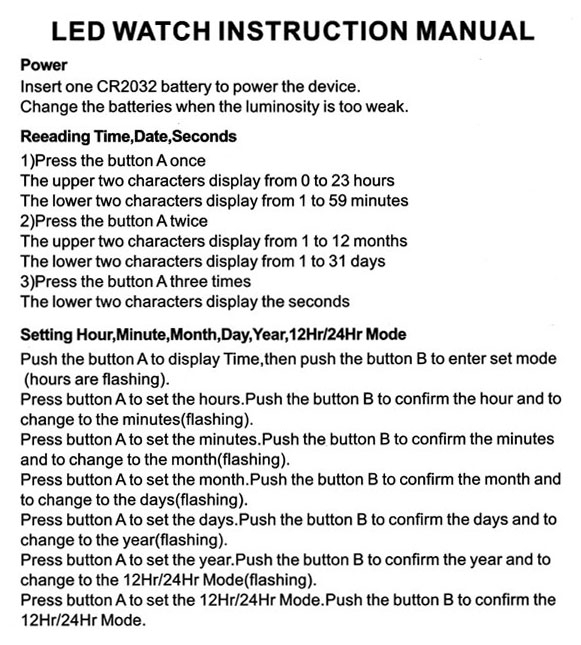 Power: CR2032 (x1) pre-installed, please change the batteries when the luminosity is too week. 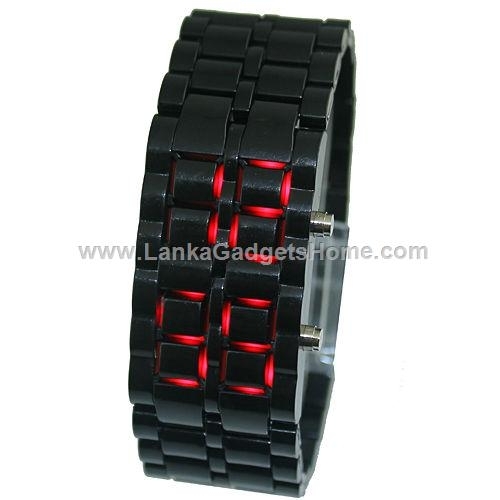 LED Digital Watch looks like a common bracelet at normal condition, but dark-red light will be sent out just like lava while LED is lighting. 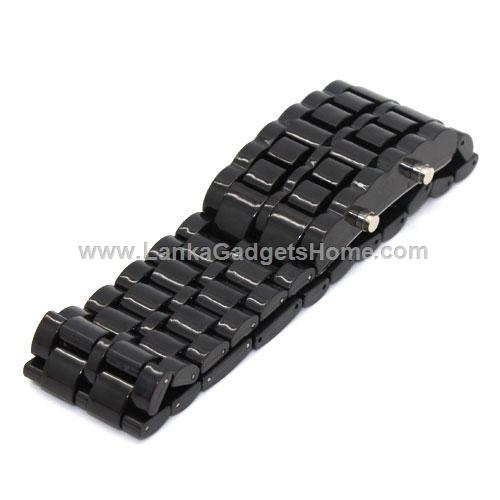 Band Material: Plastic; Band Length: 20cm; Band Width: 2.2cm. 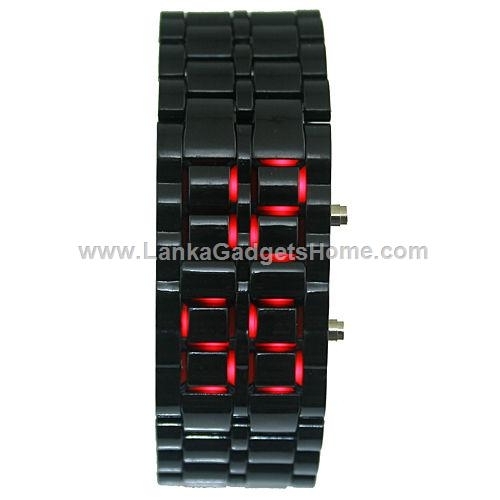 Band Color: Black (If want other color, feel free to let us know, thanks! ).